Year 6 pupils enjoyed their study trip to Méluzien in France where they were able to take part in linguistic, cultural, artistic and sporting activities. 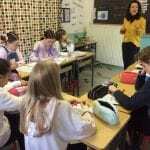 During interesting and varied French lessons each morning, the pupils not only improved their French but also practised their involvement in real situations such as shopping for food in a market, or eating in a local restaurant. 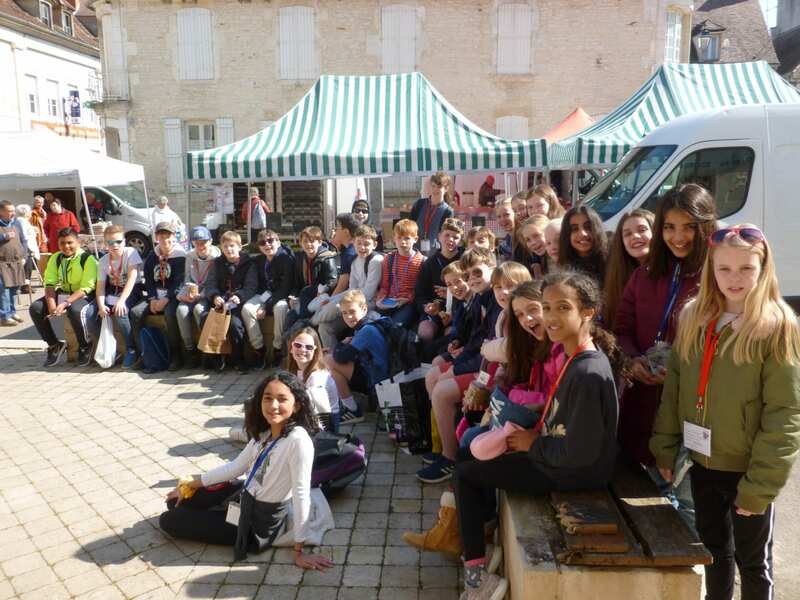 An excursion to the pilgrimage town of Vézelay enhanced the pupils’ historical and cultural knowledge of the area. 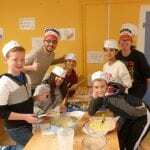 They had the opportunity to develop their creative skills through making French apple tarts and their own mosaics which became nice souvenirs to take home. All the boys and girls thoroughly enjoyed the more sporting activities, for example the circus training and the ‘Tree Adventure’ trail. The friendly staff at Maison Claire Fontaine, as well as the excellent catering, made the trip even more enjoyable for both pupils and staff, and will have provided everybody with fond and long lasting memories.